Last week (March 10th to 18th) the annual 7-Day-Roguelike Challenge took place – the event for which Pitman was developed last year. 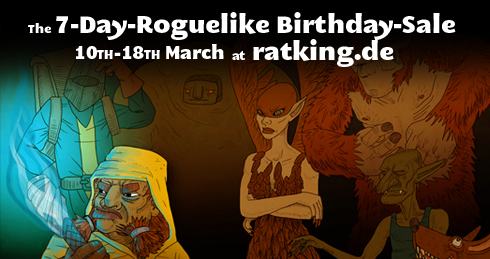 That's why our yellow dwarf celebrated his birthday that week, and because the 7DRL Challenge always gets some attention, we decided to link it together to a sale. Our roguelike is available at four PC distribution platforms: Indievania, IndieCity, LittleIndie and Desura (+ the AppStore). So we reduced the price to $0.95 / €0.79 every day at one or two sites for three days each. We also offered a few goodies or articles on our website daily. In retrospect this sale was not only a good marketing campaign, but also very helpful to find out about the strengths and weaknesses of our four platforms. Of course it would have been great to have self-distribution on our own website additionally (as it was indeed the place we referenced most times in our sale), but unfortunately this is planned for our web relaunch in the near future and wasn't available yet. The four platforms are characterized mainly by low barriers for an entry; i.e. you send in a game, it gets checked and reviewed, and often it goes straight to the market with no major problems (except for Desura, where we had minor troubles with the file upload). So if the splendid Steam Store is denied to you or you like to put smaller titles (e.g.  jam games) outside of your own website or offer your product indie-compatible – you hit the right spot here. Of course, Steam is the largest provider and has the advantage of a high number of users. However, most indie platforms – like many indie developers as well – often only have other developers or the not-so-big indie scene as players and multiplicators. Platform owners often expect that the developers bring the players (aka buyers) already with them and thereby keep the cash flowing. Thus, the scene just fertilizes itself and the few larger indie platforms remain hidden from the "normal" players. In the future it would be nice other platforms having a chance next to Steam, as in my eyes monopolies are never positive. While Steam guarantees a high quality, the reviewing process is too opaque for many developers. Desura or IndieCity for example also allow the presentation of a different kind of games that would get (even) less attention. Okay, enough about my plea to not only promote Steam, but to aim for at least another platform. However, you have to be aware that the effort you put into marketing for a platform does not always bring about the expected profit. I was wondering what is used by other developers and what platforms do not work (anymore)? E.g. Play Greenhouse by Penny Arcade has folded, unfortunately: "Apologies for the inconvenience, but Greenhouse is temporarily offline for some ... upgrades. We'll be back soon! " – the last Twitter entry is from 2010. - edit everything through the backend: project settings, updates, pricing, etc.